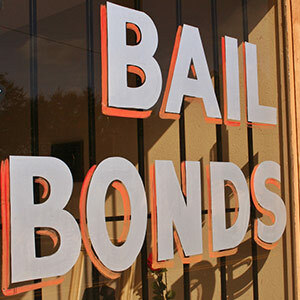 When you need a bail bond posted, Martin’s Bail Bonds is the company to call. We provide confidential and affordable bail bonds any hour of the day, any day of the week. We can provide advice and assistance when you need it the most. There is nothing more stressful than a run-in with the law. Whether you or a loved one has been arrested, the process can feel overwhelming and frightening. Getting out of jail is the first necessary step, though it is often an expensive one. At Martin’s Bail Bonds, we provide bail bonds in Raleigh, NC, that allow you or your loved one to walk free. You can call us at any hour or any day and talk to a bondsman in Raleigh, NC. We will walk you through the process and answer any questions you might have. Many of our clients have never requested a bail bond in Raleigh, NC, before and we understand the experience can be daunting. Rest assured, we can help. We are licensed and experienced bail bondsmen. We are available 24-hours a day, seven days a week. We provide the highest level of professional and confidential service. Our prices are affordable and fair. We get you or your loved one out of jail quickly, no matter what time of day. When you need a bail bond, call Martin’s Bail Bonds at any hour and we will be there to assist you in any capacity that we can.